In residential real estate, the season of giving is the season of receiving—as in hundreds of packages a day. Between online shopping and food delivery services, multifamily properties throughout the city have dealt with a steadily rising tide of parcels in recent years, leaving landlords and property managers to sift through the sea of cardboard. Now, during the four-week gap between Cyber Monday and Christmas, properties are being inundated with more boxes than ever before. The seasonal surge is testing the mettle of high-tech, high-dollar solutions implemented by luxury landlords and pushing middle-income complexes to their limits. More than half of Metro New York respondents in a recent National Multifamily Housing Council, or NMHC, survey of landlords said their staffs spent more than four hours a week sorting packages and 24 percent said they spent eight hours or more. During the holidays, those numbers go up to 73 percent and 44 percent, respectively, with some logging more than 26 hours a week on delivery duty. Overall, close to 57 percent of owners have seen a noticeable increase in package deliveries from last year alone, 31 percent are unsatisfied with their communities’ package management system and 42 percent said the glut of cardboard boxes is creating a trash problem. The Related Companies, one of the biggest apartment owner/operators in the country, sees rough 175 package deliveries a day at each of its Hudson Yards properties, with MiMA, its 63-story tower on West 42nd Street, taking in as many as 500 a day during the holidays. Rick Haughey, vice president of Industry Technology Initiatives at NMHC, said the topic dominates conversations within his organization and throughout the industry. As more goods become available for purchase online, the growing volume of packages, not to mention their size—with furniture, mattresses and even car tires offering free delivery—has landlords concerned about the future. In new buildings, developers are carving out more space for package delivery rooms, some as much as twice the square footage set aside during projects started five-to-seven years ago, at the dawn of the e-commerce era. And these aren’t just glorified closets; many have refrigeration systems to keep groceries from spoiling. Even freshly opened buildings, such as Level, Douglaston Development’s 41-story waterfront tower in Williamsburg, are vulnerable to package overpopulation. A few days after Cyber Monday, the biggest online shopping day of the year, Joshua Young, who heads market rate leasing at the property for Clinton Management, said he walked into the building’s package room and saw a stack of roughly 17 boxes stacked approximately eight feet high, all address to the same tenant. Clinton Management is part of a small minority of property owners that offers to deliver packages directly into residents’ homes. Young said this is an opt-in service provided by a third-party valet service at no additional charge to tenants. He said it’s gone a long way toward cutting down package room clutter. Related offers a similar service to its residents except it’s handled by in-house staff, Chris Schmidt, the company’s senior vice president of luxury leasing, said. 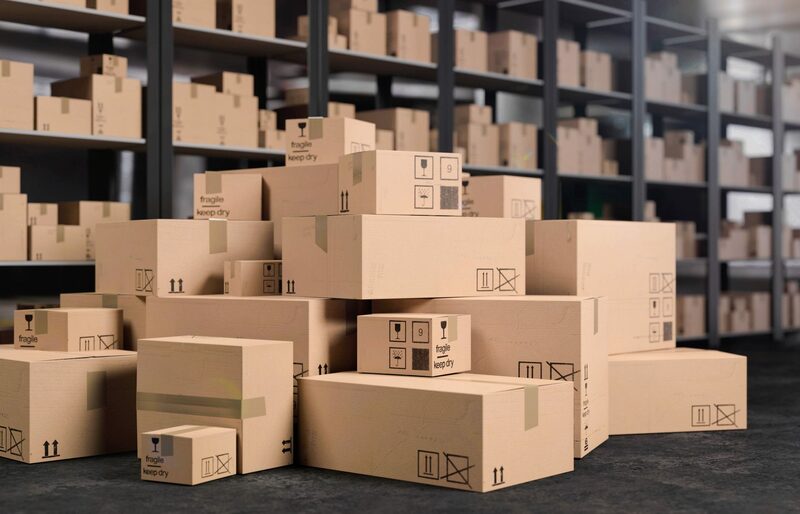 The company coordinates with the various parcel delivery services to make sure someone is on hand to receive and redistribute deliveries whenever they arrive, even for evening and weekend deliveries, which are increasingly common. Related, Douglaston and other developers not only build spaces with higher delivery volumes in mind, they’ve also employed technology to track a package’s movements from when it arrives at the front desk to when it reaches a tenant’s home. Other property owners, ones with fewer properties and lower profit margins, have to make do with the spaces they already have, which can mean sacrificing lobby space or just simply stacking up boxes behind the front desk. With a portfolio that ranges between 16-unit low-rise in Clinton Hill to a four-tower complex with close to 1,000 apartments in the Bronx, Nelson Management’s properties run the gauntlet of New York multifamily. Inside Atlantic Plaza Towers, a two-building, 718-unit complex, the company constructed a pair of new package rooms. Nelson said this has helped keep his tenants happy and the properties competitive but still he worries if he’s done enough. Meanwhile, at Lafayette Boynton, a four-building complex in the Soundview section of the Bronx, Nelson has outfitted the properties with storage lockers from the company Luxer One, a third-party package management system. The system includes a collection of various-sized lockers, ranging from the size of a typical mailbox to several feet tall. Each locker is used on a case-by-case basis and the service is offered at no extra charge, Nelson said. However, Haughey said cost is a topic that comes up often in NMHC discussions. The more real estate owners have to set aside in their buildings for storage and the more staff they have to bring on for handling packages, the more of a burden it is. “You had this big change in retail happen and we weren’t ready for the logistical change for how things get delivered or how they get received,” he said. “Some in the multifamily community wonder if this is our problem or the package carriers’ problem, some say we should deliver right to everyone’s door. Further complicating the matter is fact that so many consumers have grown accustomed to free shipping through Amazon Prime and other services. Haughey said this meaning they might be reluctant to pay extra for in-building package delivery systems. One workaround to this is another management system, Amazon Lockers, which is similar to Luxer One except it’s free for all Prime users. The Moinian Group recently installed one such system at its Oskar building on 11th Avenue. Jacob Entel, director of residential properties at Moinian, said the Amazon lockers are one of several measures the company is testing out to handle the influx of e-commerce deliveries.